Newsflash! 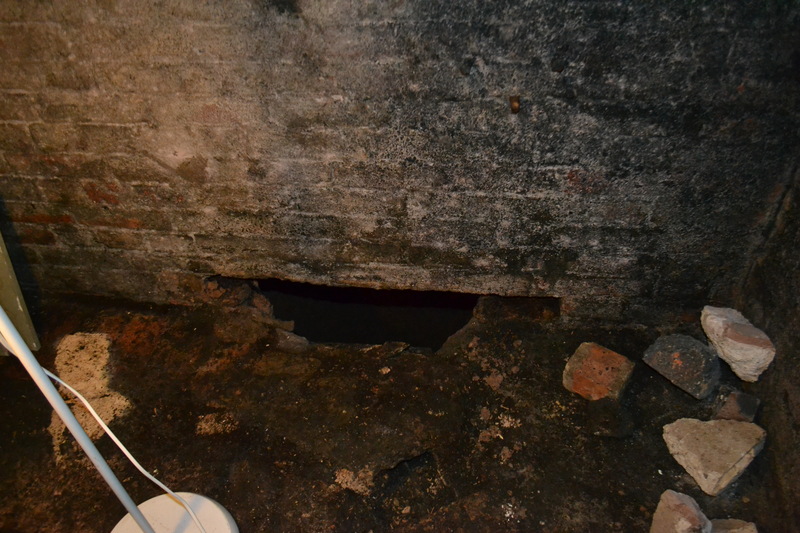 Holy Well researcher finds possible lost holy well under their house! Yes difficult to believe. This site hasn’t become Fakenews! As regular followers of this blog will know I do like to rediscover a lost holy or healing spring. But little did I think that I’d possibly find one literally under my very feet. That’s right and you didn’t miss read that! I am keeping some of the details like the exact location and other distinguishing features under wraps but hopefully you’ll agree in the fact it is a curious story…which like many stories about springs is still not the complete work and there is some supposition. It was the bricked up doorway which interested me more. Fast forward a year and I decided to see what was behind the doorway. So we sledge hammered it! So behind the wall there was a rectangular structure set in the ground. It was surrounded by large granite slabs it appears From what I can see, there was water on the bottom a fact proved by dipping a tape measure in with paper on it. It appeared also to be around two feet deep. What else could it be but a chamber containing a spring. A possible spring head. The bottom of this spring chamber is rock as it appears to have an uneven nature but it is difficult to see. This is to be expected the floor of the cellar is stone and so the cellar was probably build around a natural cave with a spring in one corner. 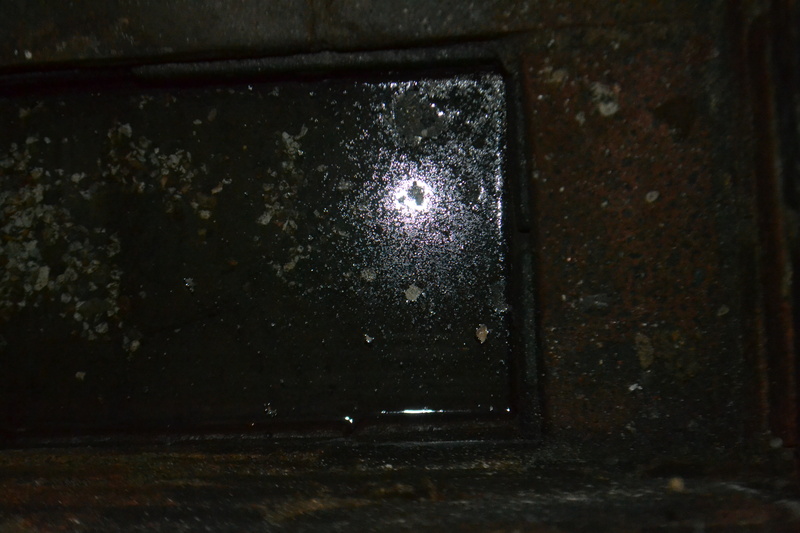 Inside the chamber is a water appears a lining possibly in lead which was done to seal it no doubt. 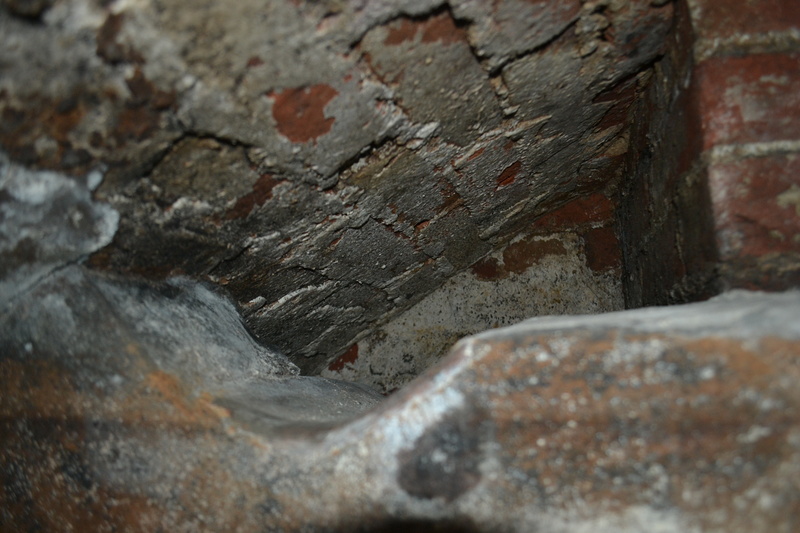 The brick chamber looks Georgian in nature but the fabric around the spring head appears to be much older than the wall and indeed it sits unsymmetrically for no reason over part of the basin. 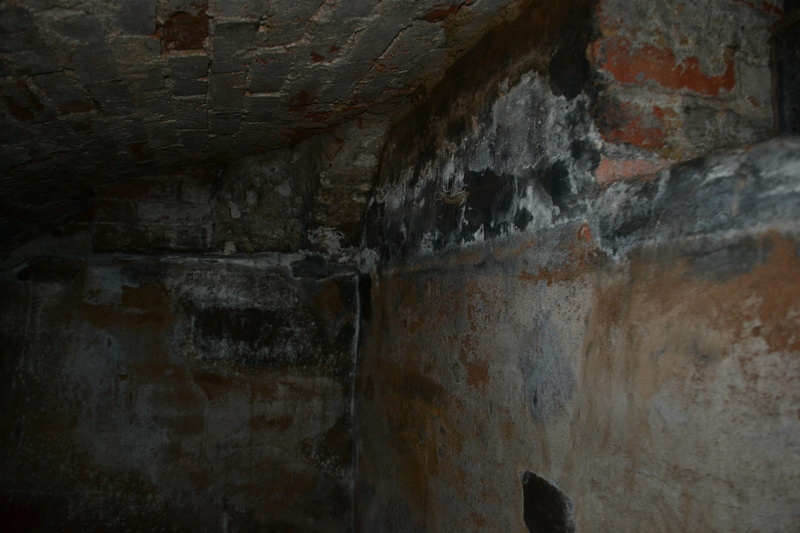 The whole chamber has a dark material on the walls which appears to be lead. 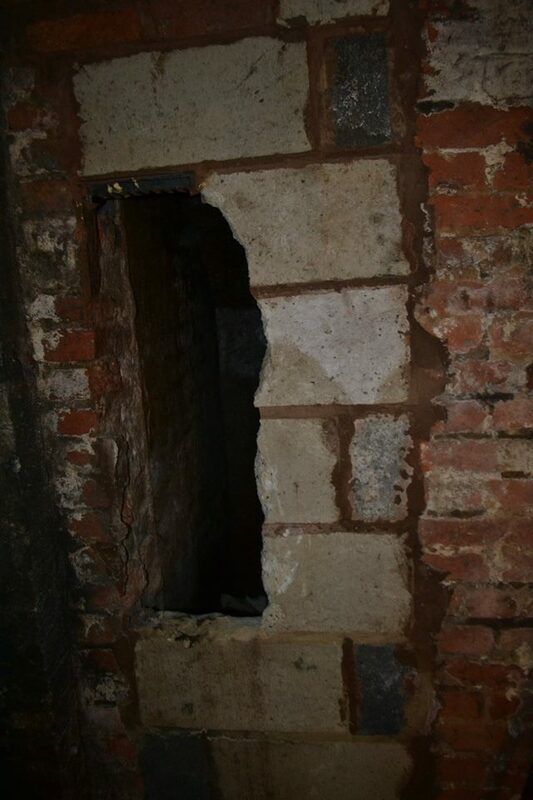 A neighbour had informed me of two facts he knew of the house one that it was lead lined, here was the evidence, and the other there was a tunnel which went down into town providing a way of servants to reach the big houses. 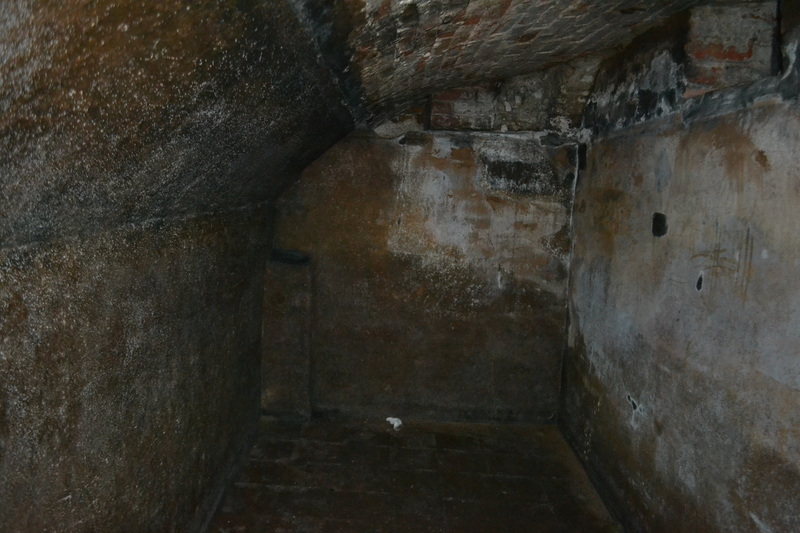 This was very unlikely but looking at it laterally was it lead lined to contain water and so was the chamber a conduit house and the tunnel did not provide servants but a service, a water service, for the houses, a conduit tunnel more likely. 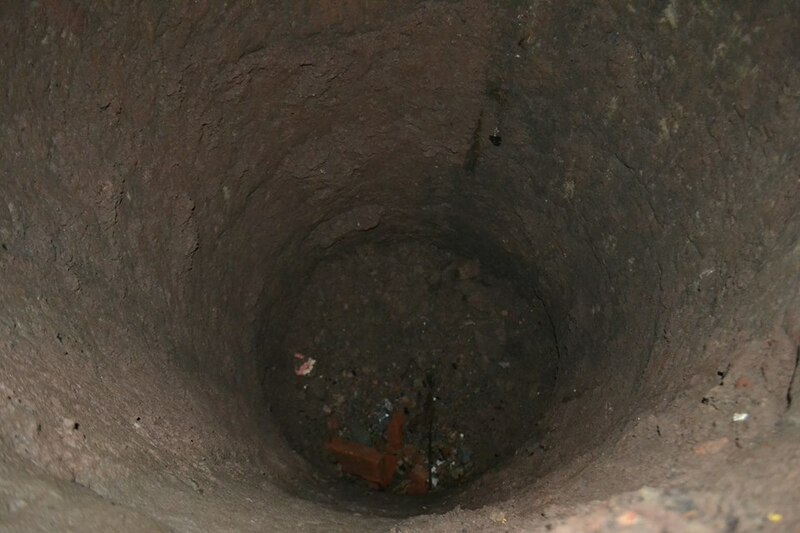 Could this be the actual well? I spoke with the chairmen of the local history story who is convinced it is indeed the original spring of the town. What is the name I wonder? An picture taken in the local library states that the house is called St. Helens. This is unusual as the church across the road is called St Mary’s. Was it once called after St Helens? Unlikely. There is no evidence of a name change. But does it refer to the well. 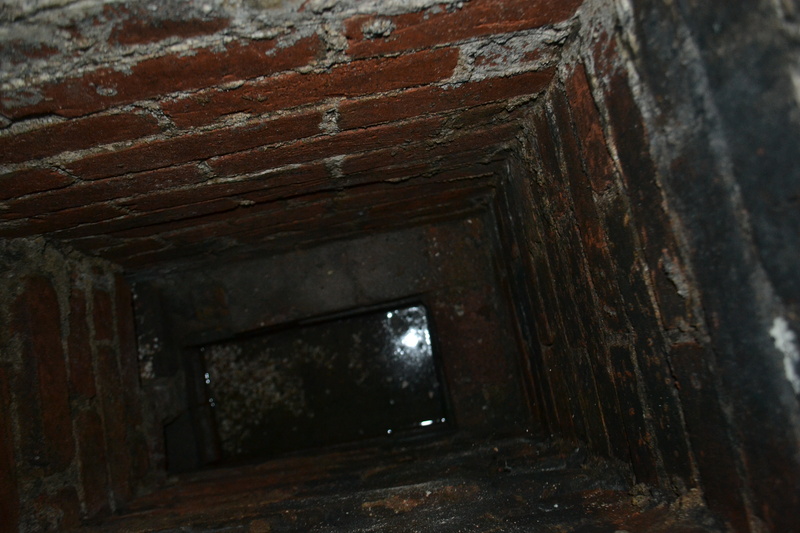 St Helen’s Wells are not uncommon. And often they indicate a pre-Christian origin. There is clearly more to find out so hopefully I way get more information I was post further on this. Posted on January 19, 2019, in Favourite site. Bookmark the permalink. 3 Comments. Hiya, theWhy have human teeth been thrown in?